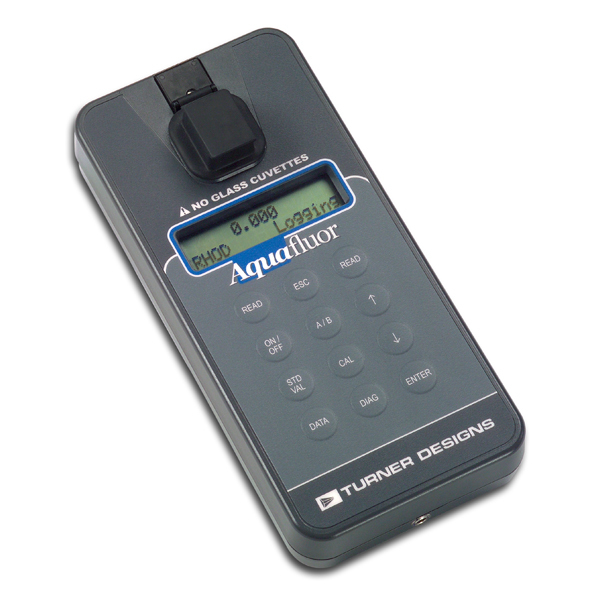 The AquaFluor® is a lightweight, inexpensive, handheld fluorometer/turbidimeter ideal for field use. Its small size and durability make the AquaFluor® perfect for the user who needs quick measurements away from the laboratory. Dual-channel capability allows users to measure fluorescence and turbidity in one sample. While small in size, performance has not been compromised. The AquaFluor® brings a new level of simplicity and economy to Turner Designs’ line of fluorescence-based instrumentation.